The waters aren’t as clear as those of Cancún or Cozumel, and the beach sands aren’t quite as champagne-powder-perfect as they are further north, but still Playa (as it’s locally known) grows and grows. 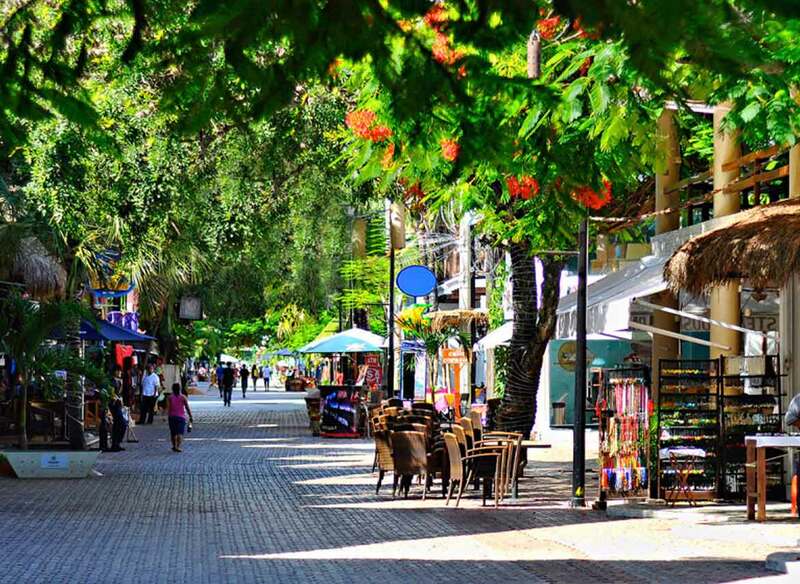 Strolling down Playa del Carmen’s pedestrian corridor, Quinta Avenida (keen-ta; 5 Avenida), is a fabulous game of see-and-be-seen. The town is ideally located: close to Cancún’s international airport, but far enough south to allow easy access to Cozumel, Tulum, Cobá and other worthy destinations. The reefs here are excellent, and offer diving and snorkeling close by. Look for rays, moray eels, sea turtles and a huge variety of corals. The lavender sea fans make for very picturesque vistas. With daily cruise-ship visitors, Playa's tourist center now feels like a mass-tourism destination, but it manages to retain its European chic, and one need just head several blocks west of the main strip to catch glimpses of the nontouristic side of things.